As a teen, Chuck Workman frequented the legendary jazz clubs along Indiana Avenue in Indianapolis. 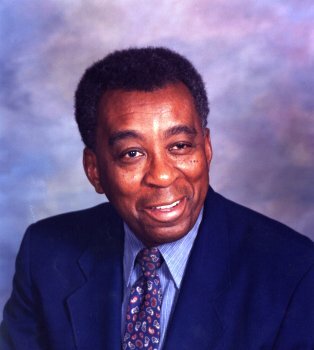 His dream of becoming a broadcaster was realized when he went to work at WTLC-FM, the city’s first station fully owned by African Americans. In 1969 he joined WTTV (TV) as a sportscaster, and in 1974 became the first African American sports director in Indiana, a role he continued becoming the station’s Public Affairs Director in 1980. Over the years the smooth-voiced Workman hosted jazz programs on WFYI-FM, WTPI-FM, and WICR-FM. He authored a long-running jazz column for NUVO, and in 2010 was honored by Black Expo for his contributions to jazz culture. He died at his Indianapolis home March 25, 2012, at age 79.